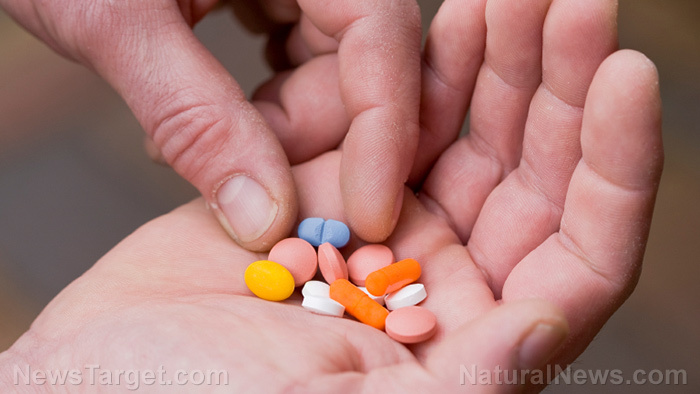 (Natural News) Everyone wants the best for their children, but dosing them with synthetic vitamins early in life may be doing them more harm than good, a study in the journal Physiology International reported. In the paper, György Csaba of Semmelweis University in Hungary revealed that exposure to synthetic lipid-soluble vitamins could adversely affect multiple organ systems later in life. Lipid-soluble vitamins – which includes vitamins A, D, E, and K – are those that dissolve in organic solvents. Other vitamins such as vitamin C and the B vitamins dissolve in water. These vitamins are also referred to as fat-soluble vitamins since these are stored in the body. All vitamins help the body – if they are taken in small amounts. Fat-soluble vitamins, for instance, are not lost in the cooking process, allowing the body to absorb them for use. However, the body does not need to consume more than the recommended daily intake (RDI) which is already covered by consuming a balanced diet. The danger lies when people consume massive amounts of fat-soluble vitamins. In megadoses, these can be toxic and result in health problems. These may also interfere with vitamin absorption, leading to nutrient deficiency. Based on the results, Csaba calls for further studies to better understand the negative outcomes of faulty perinatal vitamin-caused hormonal imprinting. Instead of loading up on synthetic and potentially harmful “vitamins,” why not get it the way it’s supposed to be taken? Here are some natural and healthy ways to get your daily dose, with no harmful side effects instead. Vitamin A, which is vital for growth, as well as healthy skin and hair, can be found in eggs, dairy, and chicken, as well as in mackerel, trout, and herring. Orange, yellow, and green fruits and vegetables contain it as well. Vitamin D is called the sunshine vitamin for a reason: When the skin is exposed to sunlight, it enables the body to produce the vitamin. That said, regions with limited sunlight are at risk of vitamin D deficiency and should consume oily fish, liver, cod liver oil, and dairy to get their fill. Vitamin E, which supports cell maintenance, keeps the heart healthy, and improves blood circulation, is found in avocados, tomatoes, sweet potatoes, Brussels sprouts, blackberries, and mangoes. Olive oil – as well as mackerel, salmon, and nuts – contains vitamin E as well. Vitamin K, which helps in blood clotting, is found in meat, leafy greens and wholegrain cereals. Learn more about the dangers of synthetic vitamins by following MedicalExtremism.com today.